You know how they say you should schedule regular date nights? Well, it’s true. Not only does it keep things interesting and is a nice excuse to get dressed up more than usual, but it also provides us with the opportunity to try all of the new spots one our list. 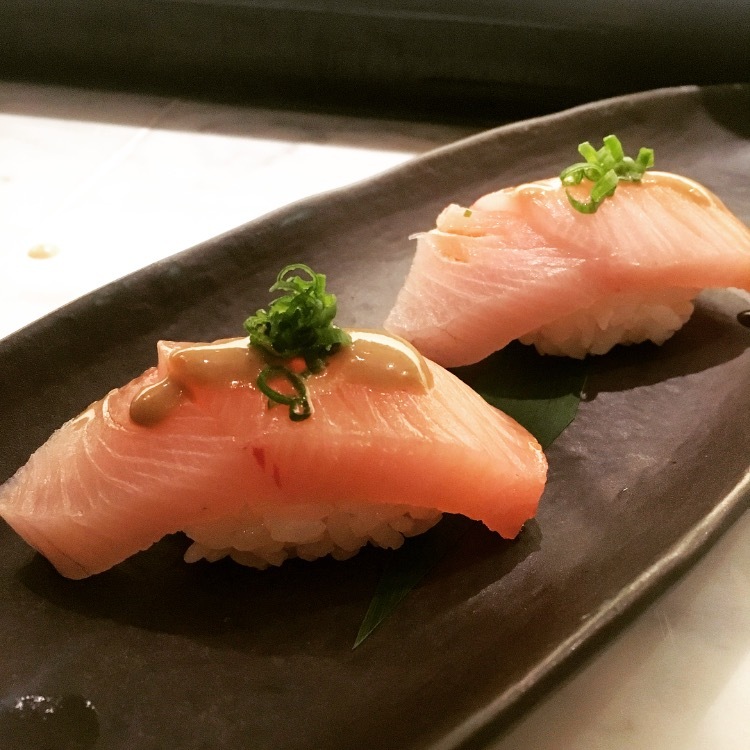 NAOKI has been on my list for a few months now, and thanks to LEYE squeezing us in for sushi bar seating on a busy Saturday night, I can finally say that it is as amazing as everyone has said. Let’s start off with the location. 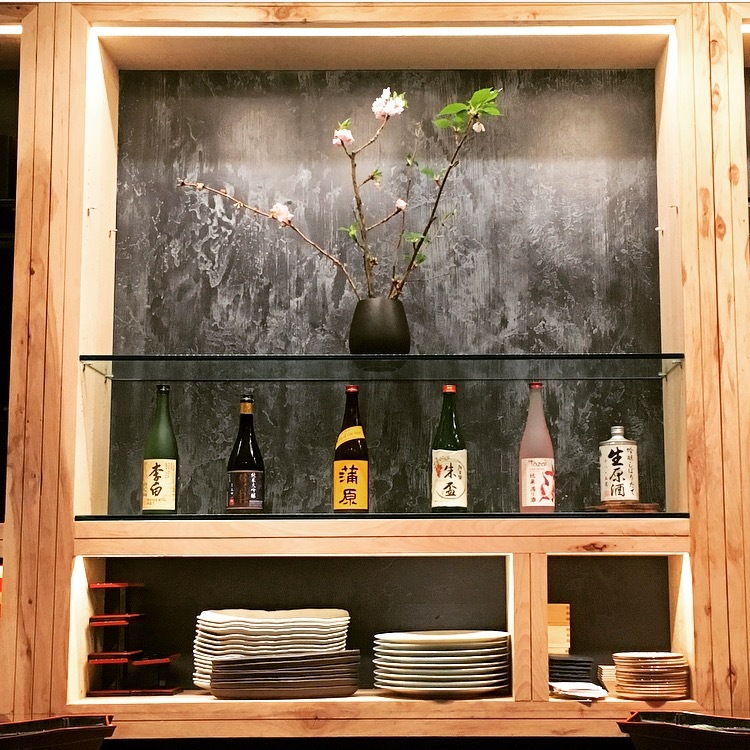 Naoki is located inside the Belden-Stratford building in the heart of Lincoln Park (across from the Lincoln Park Zoo, in fact). Lincoln Park feels like NYC Soho or UES to me, so going to a restaurant in this area already feels like a treat. 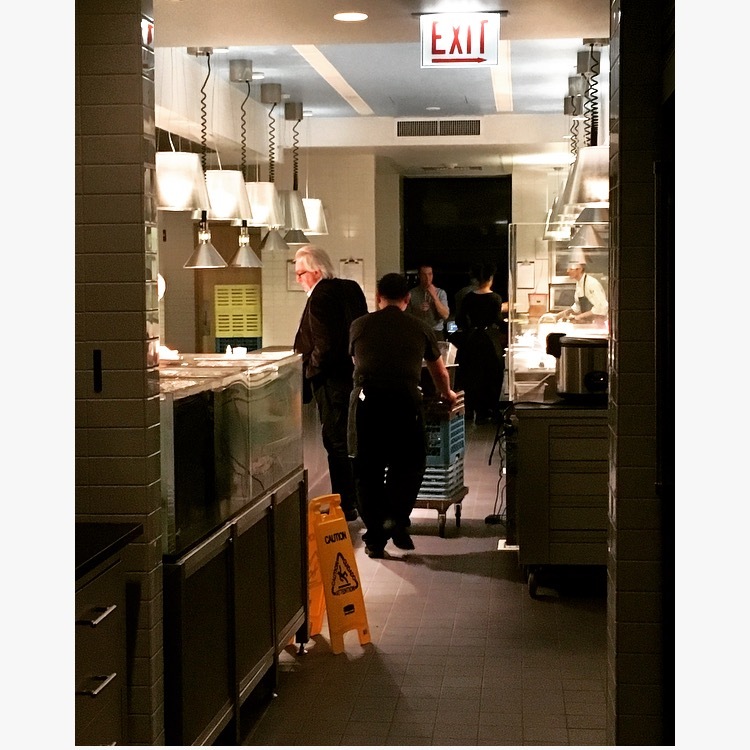 Once you enter the building, you’ll find Mon Ami Gabi to your left, and Intro to your right. You’ll check in for your Naoki reservation at the Intro host stand. I had no idea where Naoki actually was, but we enjoyed a beer (Hitachino – amazing, and worth $12) and a glass of Sauvignon in the Intro lounge while waiting. Once our table was ready, the host led us out into the building lobby and then through a second door that weaved through the Intro kitchen. 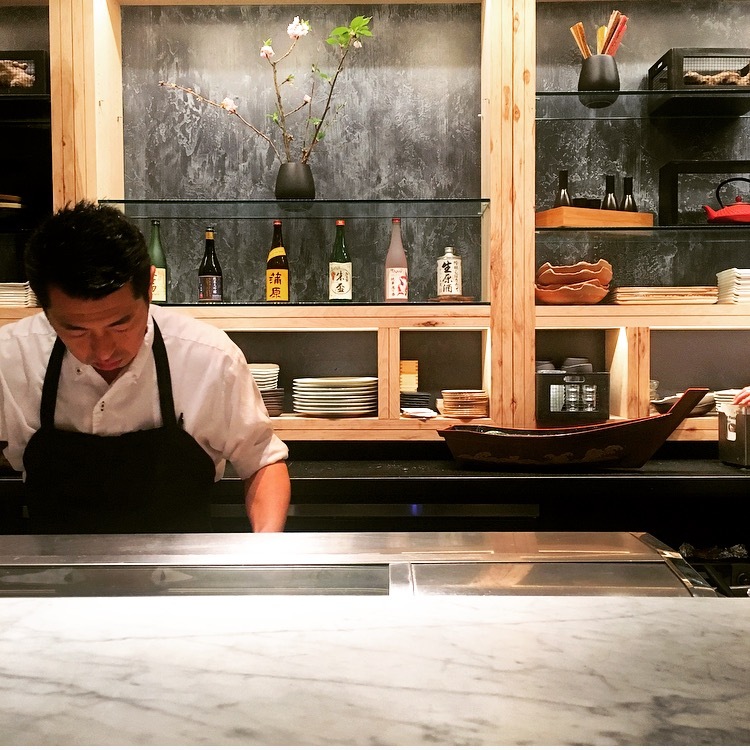 It turns out that Naoki is a somewhat private, almost secret space in the back of Intro, and to get to it you have to walk through the kitchen – LOVE! Any time you get what feels like a secret entrance, or a glimpse into the inner workings of a restaurant, you immediately feel cool :-p Mission accomplished, Naoki. We were seated at the sushi bar, which is awesome at good sushi restaurants. 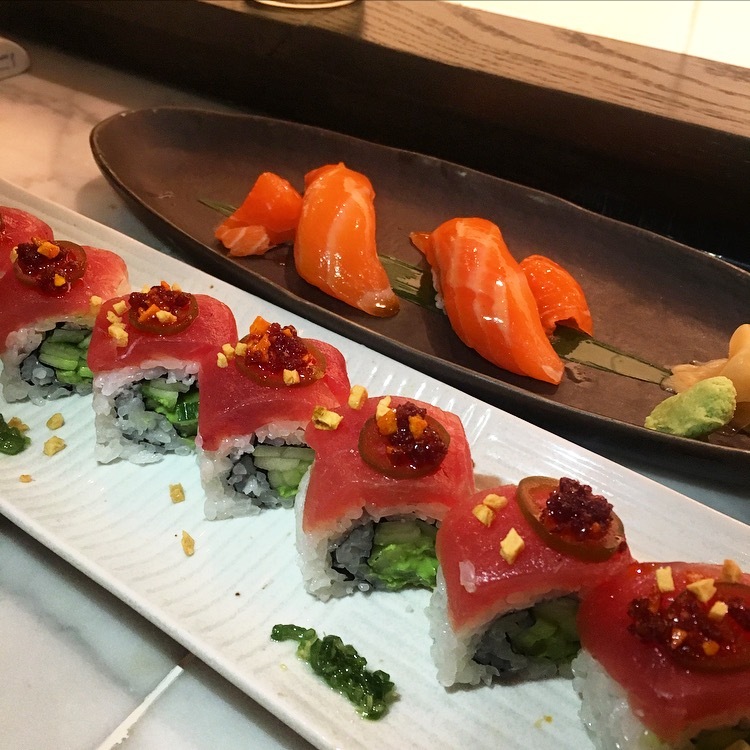 Watching the sushi chefs effortlessly and so quietly work together to create beautiful maki and nigiri is nothing short of mesmerizing. On to the meal. We were starving, and went with a variety of nigiri, maki, and hot dishes. We started off with a miso soup and the cucumber salad. 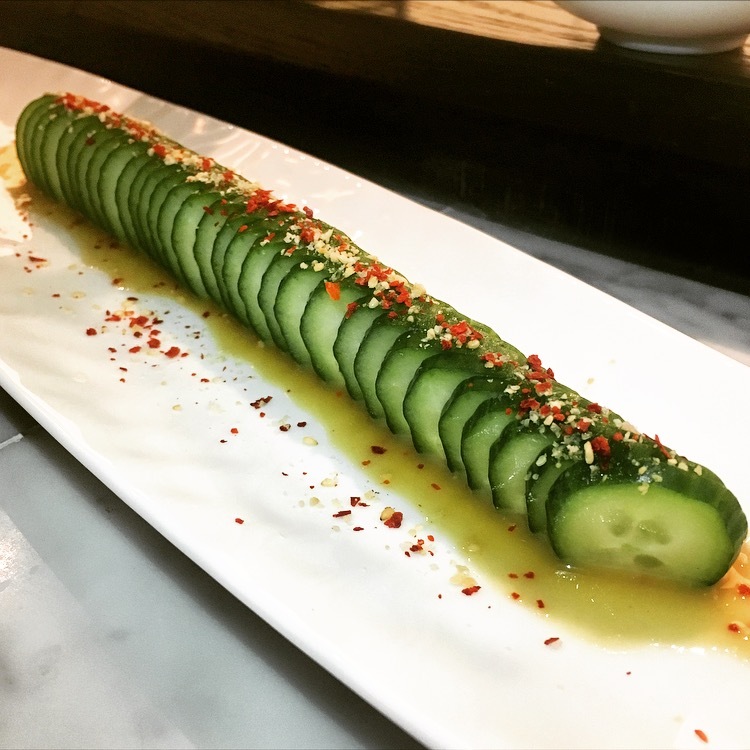 When I say cucumber salad, it sounds so simple and nothing fancy. Look at this attention to detail, though. With it being the first thing delivered to us, we knew the rest of the meal would be amazing. While we enjoyed the salad and soup, we decided on the rest of the meal. 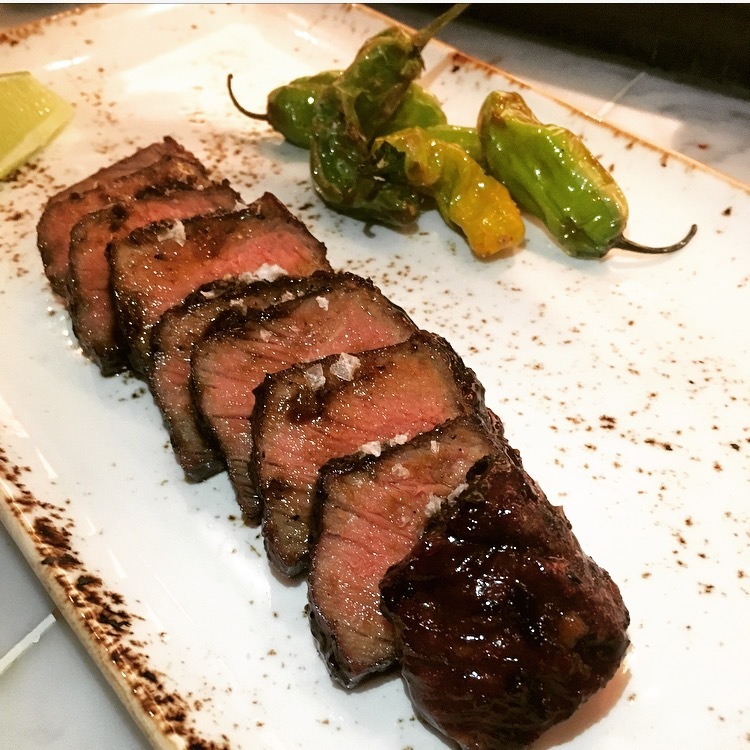 Being Instagram fans, we wanted to try a dish they posted that very day: the black pepper steak. Our server suggested that we have that after our sushi so as not to mix up the flavors and cooking temperatures. Great suggestion. The strip steak deserves a special mention. There was some confusion with the dish we ordered, but our server made sure we got what was pictured in the Instagram post. It was well worth the request! The steak was perfectly seasoned and cooked. The shishito peppers gave a good contrast to the rich steak, and I was lucky enough to NOT bite into a rare spicy one (as I usually end up doing). 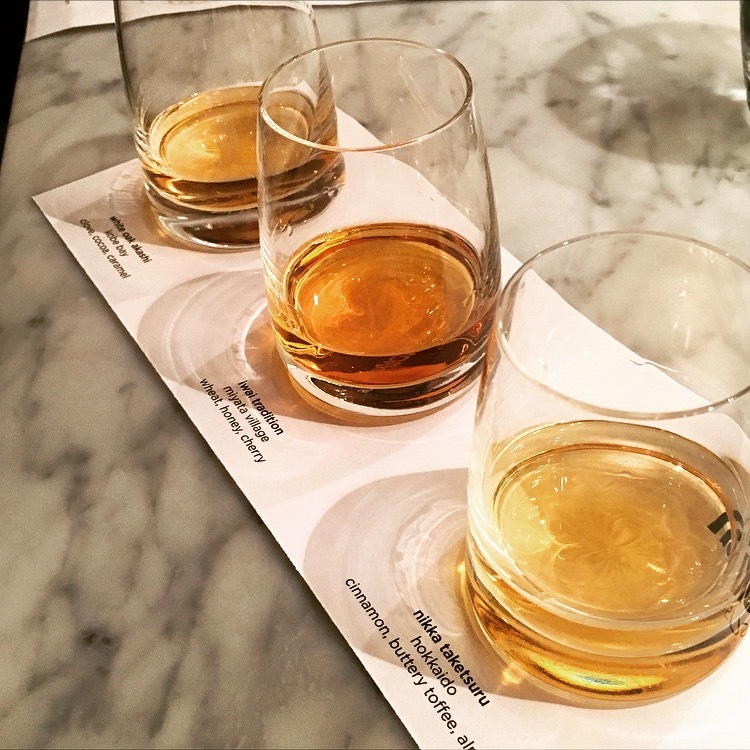 While we skipped dessert this time, we did sip on a flight of Japanese whisky. While I’m not a whisky drinker by any means, I can attest to the fact that Japanese whisky SMELLS amazing! There are lovely notes of caramel, toffee, and almonds… and then you sip it and it’s smooth but very strong. If you enjoy darker spirits, I’d highly recommend the flight as it features 3 of the most popular on the menu. All in all, this was one very successful date night, and one where I think we found our new favorite sushi spot. I can’t wait to make the secret walk through the kitchen back to this sushi bar!